➤Senior Office Executive: M.B.A. – First Class passed out candidates only. Preference will be given to candidate having an engineering background. ➤Office Executive: M.B.A. – First Class passed out candidates only. Preference will be given to candidate having an engineering background. ➤Senior Placement Officer: Post Graduate in any discipline and experience in placement activities. Preference will be given to candidate having experience in academic institutes and engineering background. ➤Laboratory Assistant (Computer): Bachelor’s degree in computer/IT (First Class passed out candidates) OR Diploma/ITI in the Computer/IT (First Class passed out candidates. Candidate should send a Non Refundable Demand Draft of Rs. 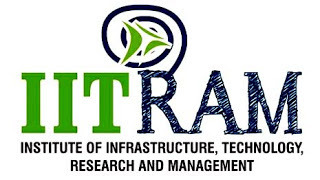 100 in the name of “Registrar, IITRAM” payable at Ahmedabad (Required at the time of application online). Online application should be made on www.jobs.iitram.in only and candidate should take print out of the application at the end. Candidate should send a Non Refundable Demand Draft of Rs. 100 in the name of “Registrar, IITRAM” payable at Ahmedabad (Required at the time of application online). Demand Draft should be sent for EACH POST separately. Demand Draft along with the print out of online application submitted should be sent by speed post/ registered post only at following mail address on or before 24/08/2018, 5.00PM. Application will not be considered without hard copies received at the institute.